MANCHESTER Metropolitan will gain a share of £21 million to promote Science, Technology, Engineering and Mathematics - so called STEM subjects. MMU is one of six UK universities selected to lead a new drive to bring world class science to new learners - in industry, and in schools and colleges. Our excellent record in widening participation earns the university a role as 'regional spoke' for the Government's support of STEM subjects, under the scheme funded by the Higher Education Funding Councils for England and Wales. MMU was chosen alongside the universities of Birmingham, Bath, Southampton, Bradford and Swansea to engage local workforces in higher education learning, boost higher skills for industry, and engage a wider mix of young people in science and engineering. Acting Dean of the Faculty of Science and Engineering Dr Pete Dunleavy said: "The aim is to attract both more professional people and a broader group of young people into higher studies in the sciences and engineering. "MMU has an excellent track record in providing courses for industry, notably in engineering and the health sciences, and we have also been successful in creating Foundation Degrees and popular on-line learning modules. "This project will help us to build up on that for the benefit of individual learners and to fill any skills gaps in the UK economy. "There is also good news for current students because the project will encourage new course delivery and design, enhance student support, and hone skills needed for the workplace." Chemistry, engineering, mathematics and physics will be the focus of the three-year project which closely involves the Royal Society of Chemistry, the Institute of Physics, the Royal Academy of Engineering, and a consortium of mathematical bodies. David Lammy, Minister of State for Higher Education, said: "We need to encourage more people from all backgrounds to take up STEM subjects to expand and improve skills here in the UK, so it's great to see our universities stepping up to the mark." MMU says the success of the scheme will depend on working as a team with other North West universities and with the professional bodies. 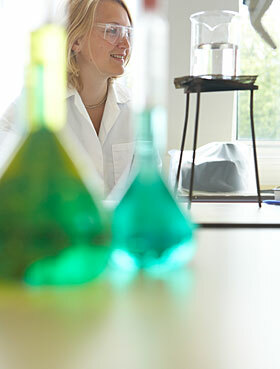 The National Higher Education STEM Programme is hosted by the University of Birmingham. Michael Grove will shortly take up the post of National Higher Education STEM Programme Director at the university. This is the second stage of a six year programme which began in 2006. The first stage involved pilot projects developed by the Royal Society of Chemistry, the Institute of Physics, Royal Academy of Engineering and a consortium of mathematical bodies to generate interest in chemistry, physics, mathematics and engineering among young people, and to enhance the accessibility of HE courses in these subjects. The national programme will roll out across the regions activities and lessons learnt from the four discipline-based pilot projects. * Activities to widen participation within and across the STEM disciplines at HE level working with schools. * HE curriculum developments focusing on course delivery and design, student support, and knowledge and skills. Activities to encourage those currently within the workforce and society without a Level 4 qualification to engage in further study to develop enhanced knowledge and skills. The HE activities to widen participation among young people in schools and colleges will complement those of the Department for Children, Schools and Families funded STEM Cohesion Programme. It will also complement work undertaken by the National STEM Centre, STEMNET and other STEM enhancement programmes.